The following information is from the San Luis Obispo County Planning and Building Department concerning the Paso Robles Groundwater Basin Ordinance. These frequently asked questions are broken into three categories – the first set contains general questions about the applicability of the ordinance and how it is implemented; the second set provides answers about the various uses and permits that are not or may not be subject to the ordinance; and the third answers questions about wells. For further questions, contact the San Luis Obispo County Planning and Building Department at (805)781-5600 or via email at planning@co.slo.ca.us. Where does the Urgency Ordinance apply? You are able to view whether your property is subject to the Urgency Ordinance on sloplanning.org. What does the Urgency Ordinance do? • New development dependent upon a well in the Groundwater Basin. There are exceptions built into the ordinance (see “questions about exceptions” in part 2) in addition to provisions to allow these uses where certain conditions are met. What is new or expanded irrigated crop production? For the purposes of the Urgency Ordinance, this means the development, new plantings, or other improvements of a property for the purposes of farming of agricultural products using irrigation. It also includes increasing the density of any existing irrigated crop production. It does not include the planting of annual or rotational crops where those crops have been planted within the last five years on a site. What is conversion of dry farm or grazing land? For the purposes of the Urgency Ordinance, this means the conversion of a site that had been used for the past 10 years for the purposes of either farming an agricultural product without using irrigation or raising or feeding of beef cattle, sheep, or goats by grazing or pasturing, to new or expanded irrigated crop production. The 10 year timeframe includes such time the site was fallow, in rotation but not planted, or covered under a conservation plan prepared as part of the Conservation Reserve Program. What is new development dependent upon a well in the groundwater basin? For the purposes of the Urgency Ordinance, new development is all allowable uses as defined by Table 2-2 in the Land Use Ordinance (Title 22 of the County Code). Table 2-2 can be found on sloplanning.org. Does this mean I can’t build my house or plant my irrigated vineyard or orchard? The ordinance allows these uses to be established under certain conditions. • The first condition is that your new water demand must be offset at a ratio of at least 1:1. • The second condition is that any new well drilled to support the use must be metered and read by the property owner. Data from the well must be maintained by the property owner. Until the Board of Supervisors adopts an Approved County Water Conservation Program, offsets will be approved after the property owner provides verifiable evidence that the new water use has been offset. This is done through approval of an Offset Clearance by the Department of Planning and Building. For residential or other development, this can be done by showing that enough fixtures in other residences or development have been replaced to achieve water savings equal to the future residence’s or other development’s proposed water use. This will also include offsetting of proposed outdoor water use. For agricultural uses, this can be done by showing that existing irrigation or other water supply for an existing agricultural use has been upgraded to achieve water savings equal to the future agricultural use’s proposed water use. It can also be done by removing an irrigated agricultural use from production such that it will achieve water savings equal to the proposed agricultural use’s proposed water use. An agreement between the property owner and the County will be required to guarantee the irrigated agricultural use that has been removed from production will remain that way. How do I meter my well and how do I read that meter? Within 30 days of installation of a well or prior to final building inspection, whichever is applicable, you will need to provide evidence to the Public Works Director that a meter has been installed on the well serving the use. You or your well driller will need to prepare a drawing to show that the installation conforms to the technical standards set forth by the Public Works Director. Then each month, on or near the first day, you or another person designated by you will need to read the meter. All groundwater used from that well shall be measured and the record of these readings are required to be maintained by the property owner. I have an existing house and well and I want to remodel or add on. Am I subject to the Urgency Ordinance? I have a construction permit that is going through plan check. Am I subject to the Urgency Ordinance? Any application for a construction or grading permit that was submitted to the County, including all required fees, prior to August 27, 2013, is not subject to the Urgency Ordinance. Any construction or grading permit issued before August 27, 2013, is not subject to the Urgency Ordinance. I have a valid, approved land use permit, but I haven’t submitted my construction permits yet. Am I subject to the Urgency Ordinance? Any construction permit that is necessary to implement a Minor Use Permit, Conditional Use Permit or Variance approved prior to Aug. 27, 2013 is not subject to the Urgency Ordinance. I am processing a land use permit but it hasn’t been approved yet. Am I subject to the Urgency Ordinance? Maybe. Any application for a land use permit that was submitted to the County and was accepted as complete prior to Aug. 27, 2013 is not subject to the Urgency Ordinance. 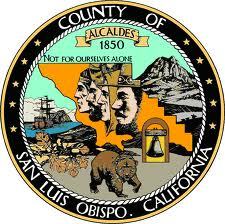 If your application wasn’t accepted as complete prior to Aug. 27, 2013, your project is subject to the Urgency Ordinance. Conditions of approval will be applied to your land use permit to comply with the requirements of the Urgency Ordinance. Can I build a new pond or reservoir for frost protection, seasonal irrigation, or livestock purposes? Yes. Ponds and reservoirs are subject to Section 22.52 of Title 22, the Land Use Ordinance. Depending on how big the pond is and how much water it can contain, a grading permit and California Environmental Quality Act (CEQA) review will be necessary. Can I replace a destroyed structure? Yes, replacement of a structure that was destroyed can be replaced and would not be required to meet the requirements of the Urgency Ordinance. The replacement structure must be the same size and be used for the same purpose as what was destroyed.